MILAN -- Volkswagen Group halted the possible sale of its Ducati motorcycle unit amid persistent opposition from its powerful labor groups, according to an Italian union leader. 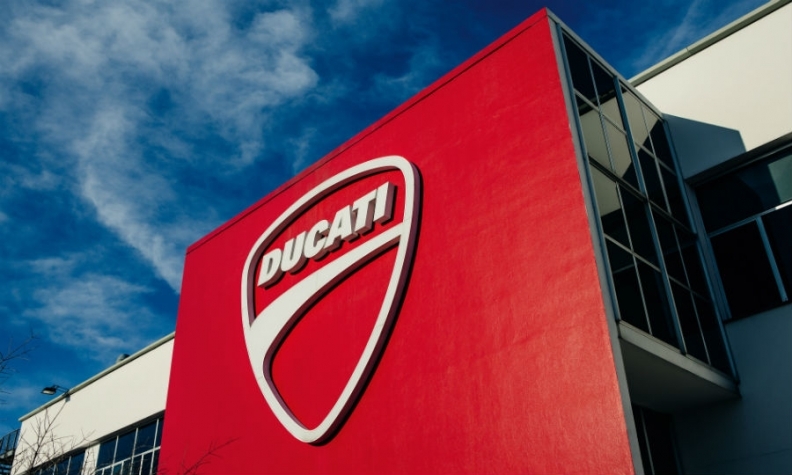 "Ducati's CEO [Claudio Domenicali] told workers Friday that the VW supervisory board decided to halt the sale process," Bruno Papignani, regional head of FIOM CIGL union, said. "IG Metall sustained and helped Ducati workers in their request to remain inside the VW Group, which should keep investing in our company." VW considered selling Ducati as part of an asset review that started last year to examine options for operations that aren't a fit for its car and truck focus. VW's Audi luxury division, which owns Ducati, hired Evercore Partners to advise on strategic options, people familiar with the matter said in April. A Ducati official declined to comment on the sale process, while VW spokesman Eric Felber said the company doesn't comment on market rumors. A sale of Ducati could have raised VW's cash reserves by as much as 1.5 billion euros ($1.8 billion). The company reported a surprise charge of about 2.5 billion euros in the third quarter as plans to buy back or retrofit tainted U.S. diesel cars proves more complex, bringing total damages from the two-year-old scandal to over 25 billion euros. Ducati had picked five bidders in July that were expected to make binding offers by October, people familiar with the matter said in July. Those included the Benetton family holding company Edizione and former owner Investindustrial. Retaining a business with hardly any overlap with other parts of VW's sprawling automotive empire will likely raise questions about the asset review in a strategy revamp through 2025. Failure after months of work is a fresh blow to Audi, VW's largest profit contributor, which faces a management overhaul. Audi bought Ducati from Italian buyout firm Investindustrial for about 860 million euros in 2012. Investindustrial took a controlling stake from another private equity firm, TPG, in 2006.